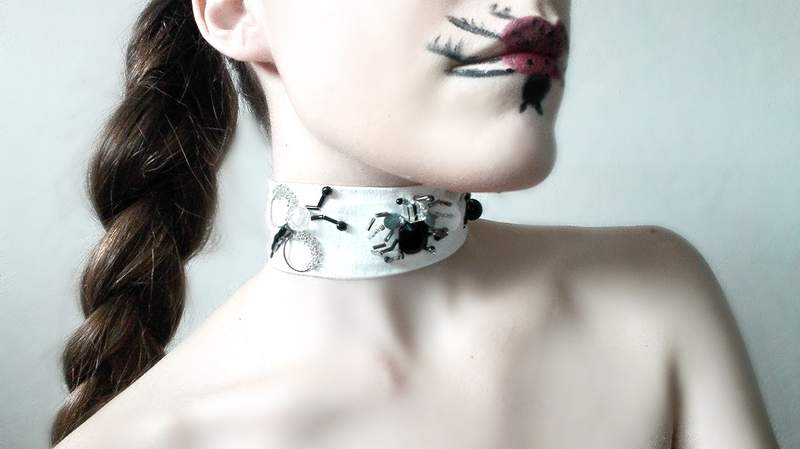 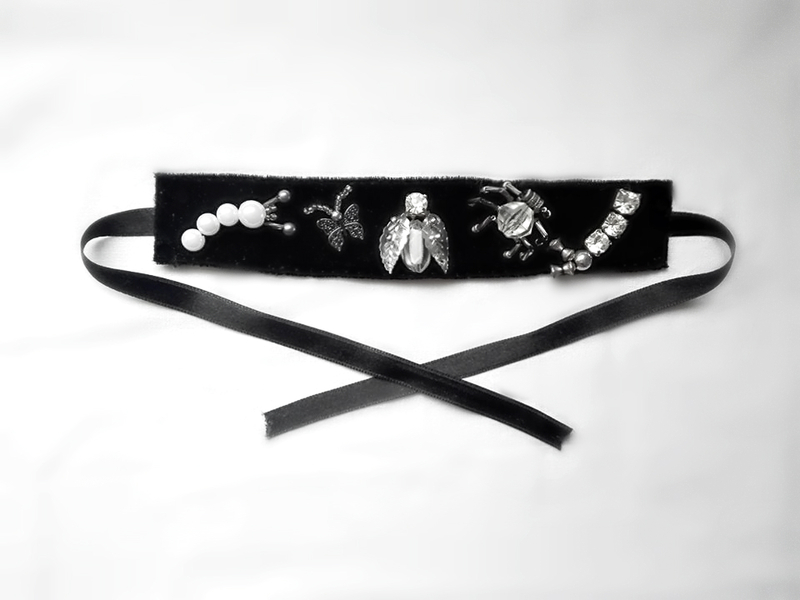 As promised, here's my next choker collection called "Insect Choker Collection". 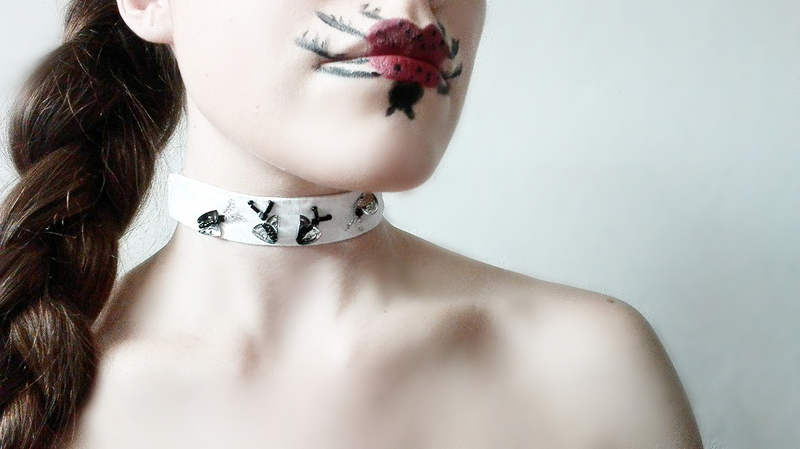 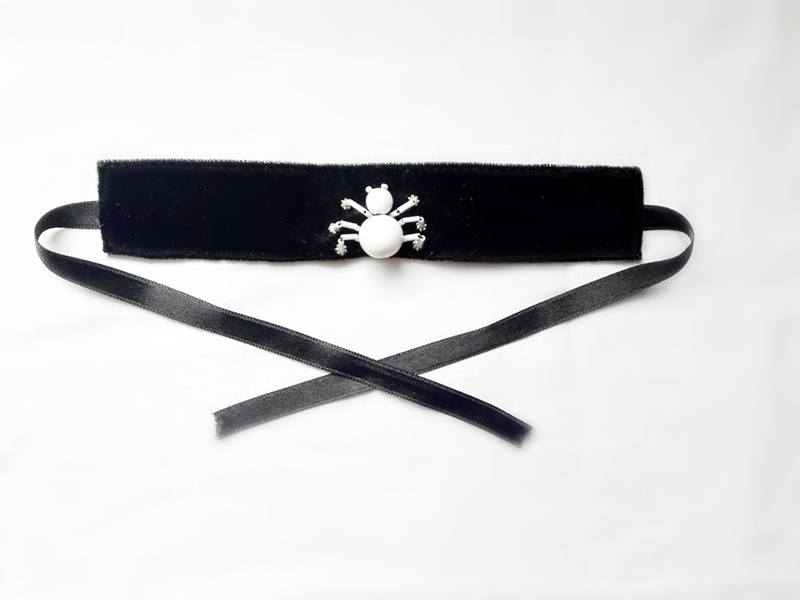 This time I created more chokers with different sizes and colors, they have only one thing in common: the crawling insects! 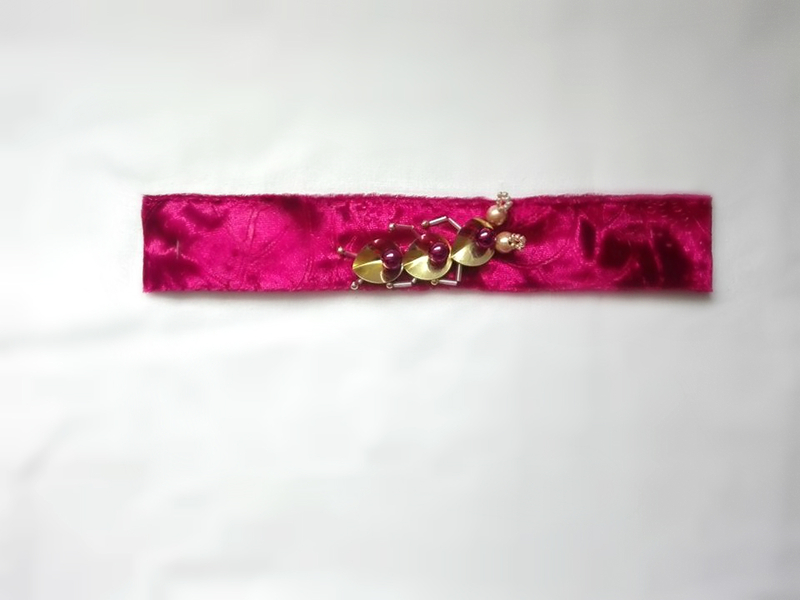 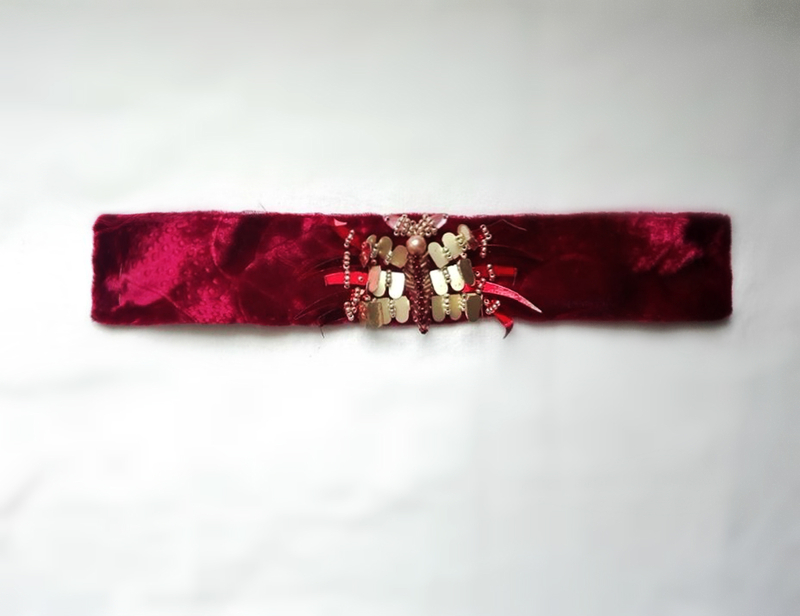 This collection contains four black velvet chokers,two red velvet chokers, two white chokers and two camel color chokers. 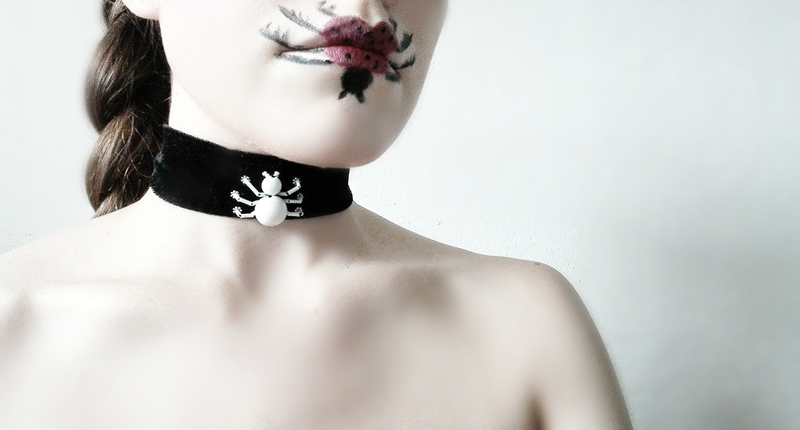 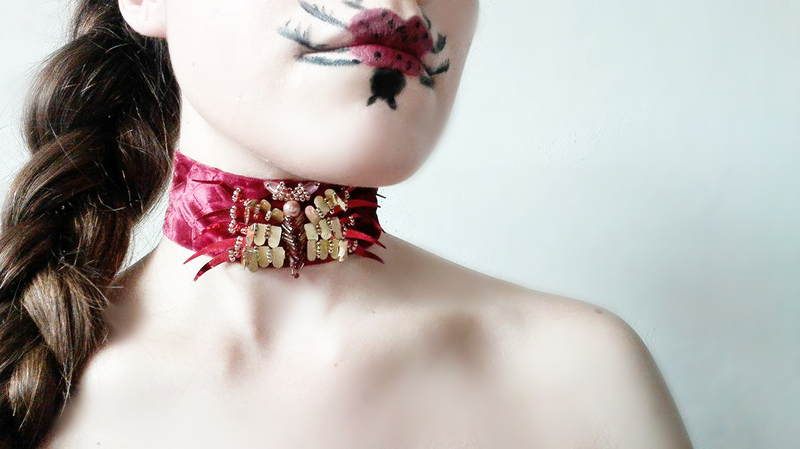 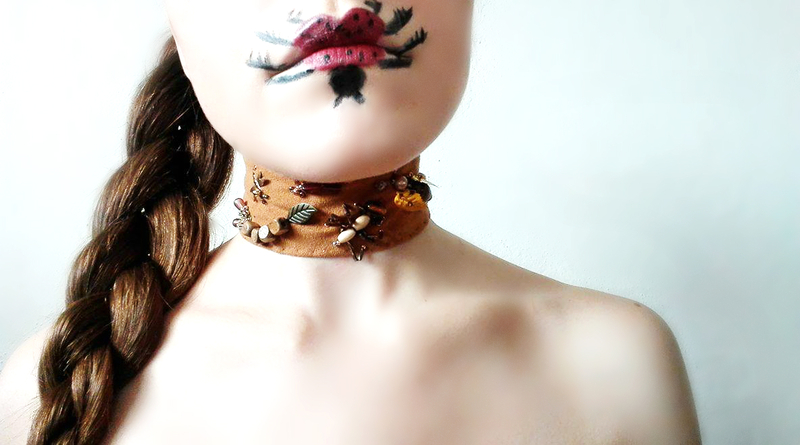 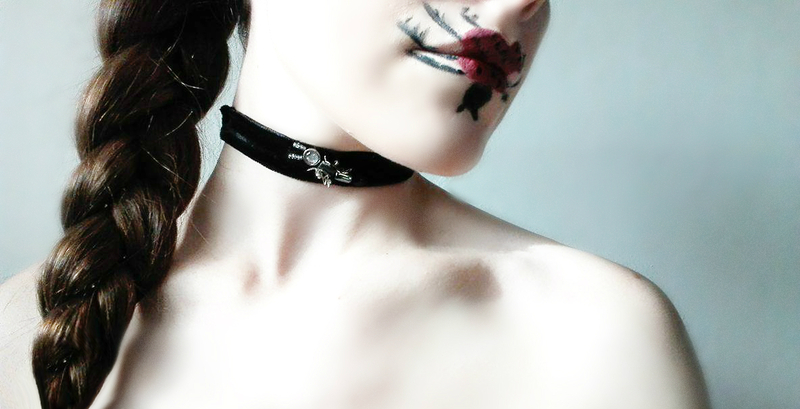 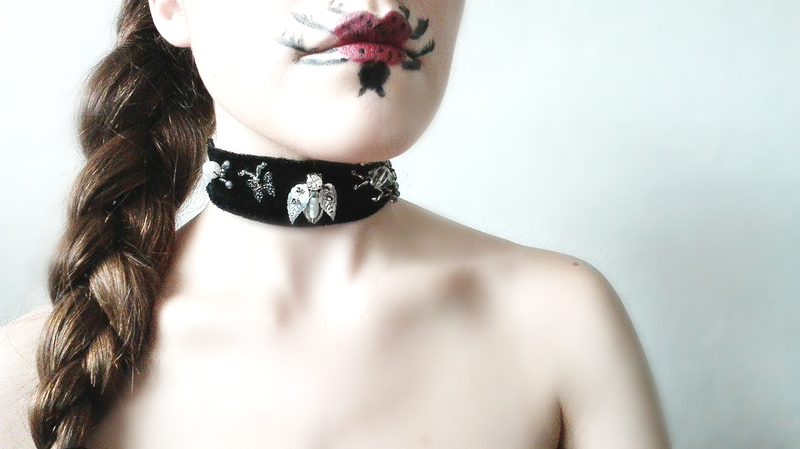 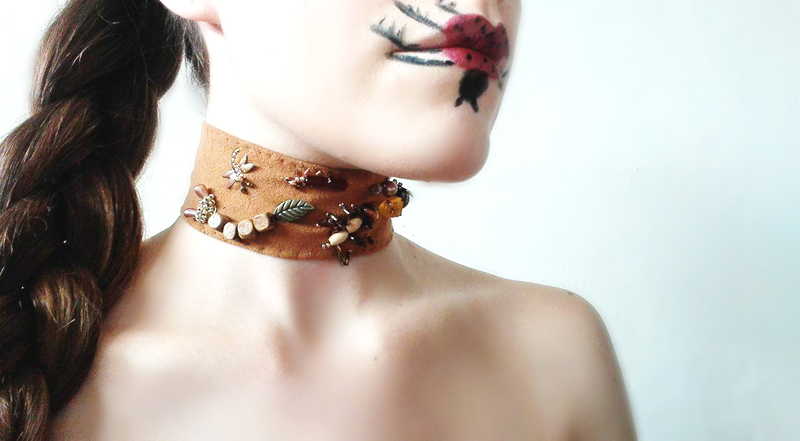 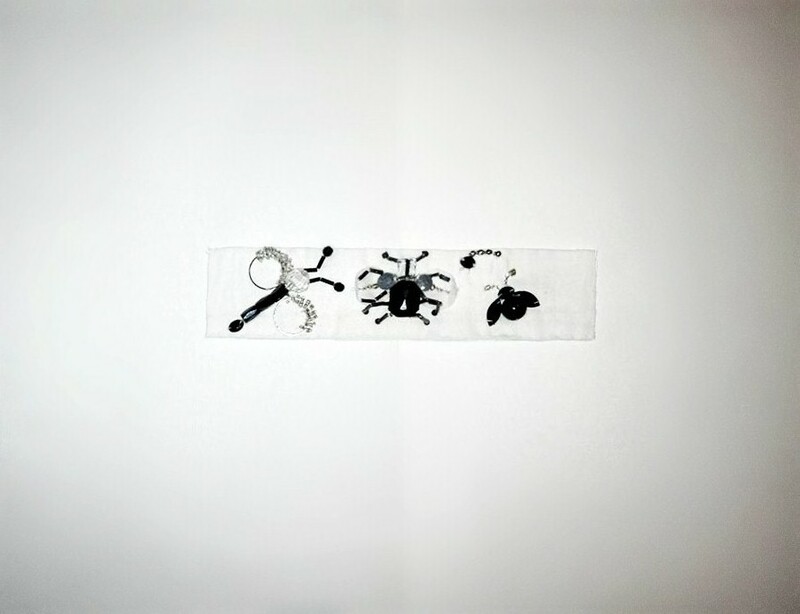 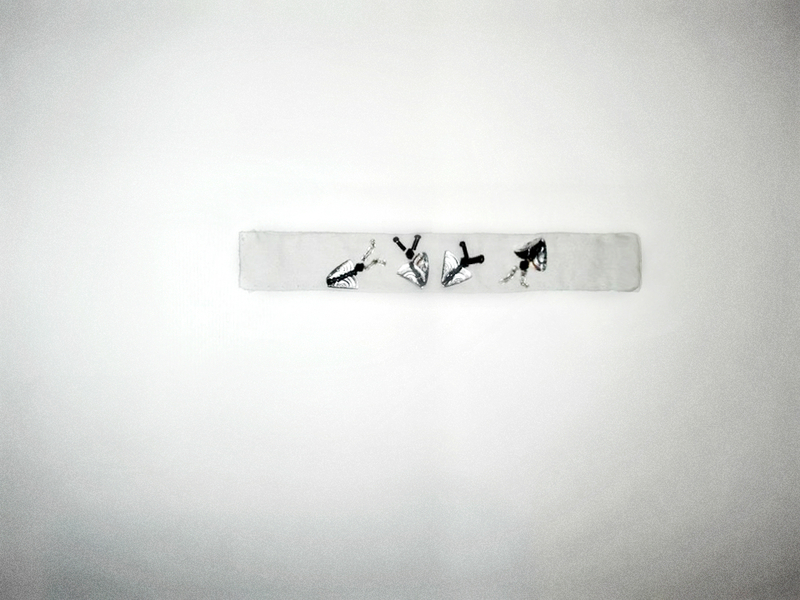 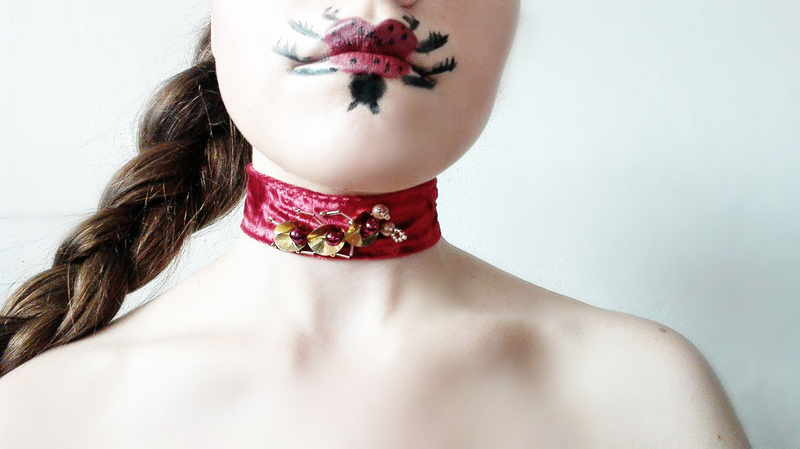 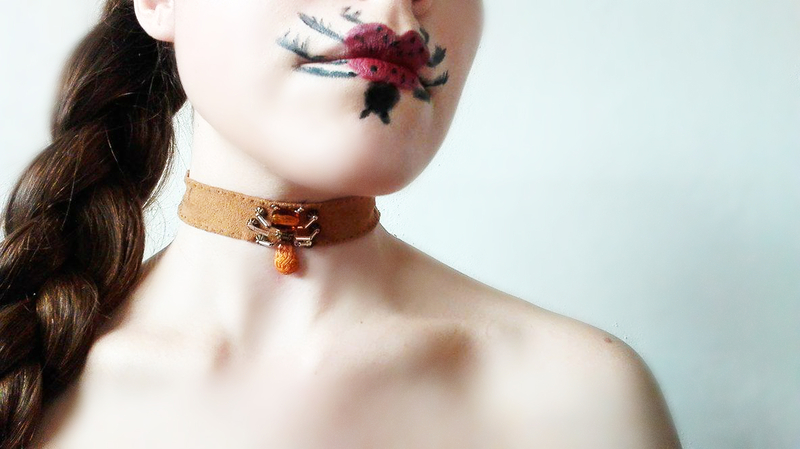 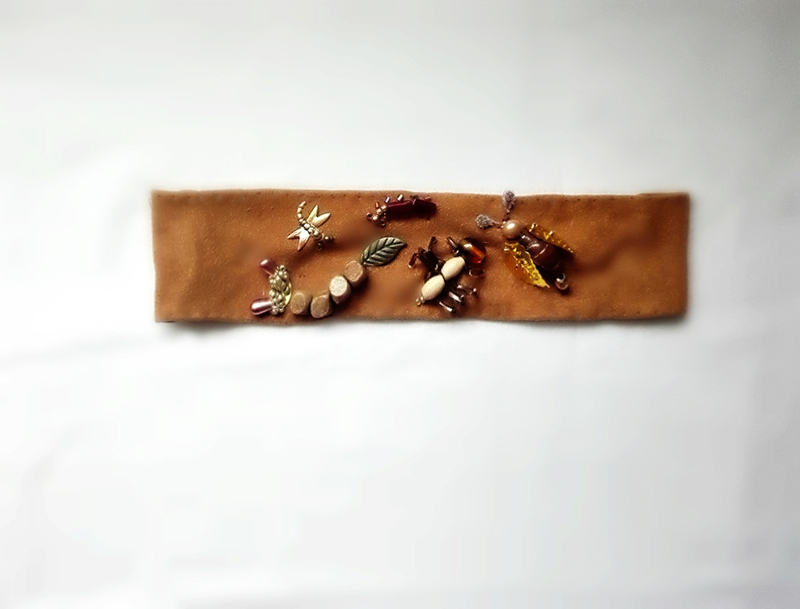 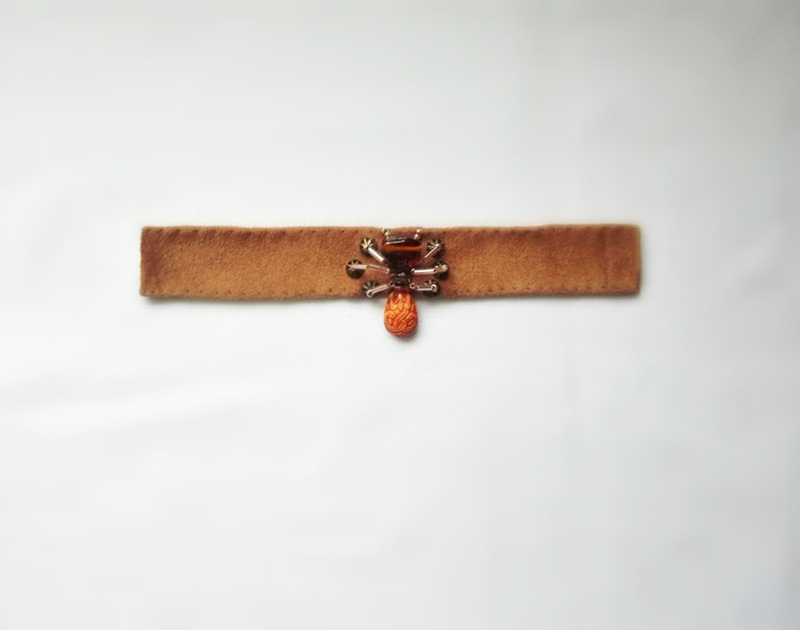 Every choker is hand embroidered with different insect types.